There have been a couple of very interesting additions to Columbia Tristar's May schedule! Details are non-existent, but they're listing two new versions of Sam Raimi's Summer 2002 blockbuster Spider-Man for release on May the 24th. These are a three-disc "DE", and a Superbit version. Columbia have also pencilled in Spider-Man: The Animated Series for the 5th of April. 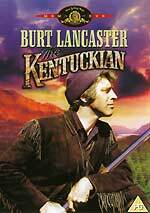 Earlier this week Buena Vista announced the Region 1 release of the series. Other new additions to Columbia Tristar's schedule include The Dresser (24/5/04) and body-swap comedy Vice Versa (17/5/04). Columbia Tristar have pencilled in Tim Burton's Oscar-nominated fantasy Big Fish for release on DVD on the 24th of May. No further details have been released. The BBC has an excellent selection of releases for March, including one of the Corporation's finest drama series, Dennis Potter's The Singing Detective. 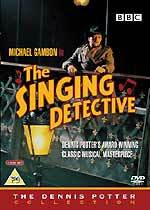 Dennis Potter's critically-acclaimed 1986 mini-series The Singing Detective is being released as a three-disc set on March the 8th. (Early reports and the sleeve released to retailers said that it would be a two-disc set). A couple of the Beeb's March titles have been rescheduled from their originally announced dates. The first of these is one of the most highly anticipated releases of the year: the Blake's 7 - Season One box set. This has been delayed several times, and now seems to appear on BBC Worldwide's press releases in the forlorn and hopelessly optimistic hope that one month they might just hit lucky. Anyway, according to their latest missive, "BBC Worldwide have confirmed the release date of Blake's 7 on DVD for 1st March 2004". For details of the package, see the News entry for the 11th of December. 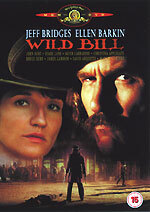 The other Flying Dutchman title is Simon Nye's off-kilter sitcom Wild West, which starred Dawn French. This was originally going to be released in September, but is now scheduled for March 15th, with an RRP of £19.99. Four of the BBC's Dinosaur series are gathered together in the Big Dinosaur DVD Box Set, which contains two existing releases, the two-disc Walking With Dinosaurs, and The Ballad of Big Al, and two spin-off shows that are new to DVD: Land of the Giant Dinosaurs and The Giant Claw (these are both included on the set's fourth disc). The two new titles are supplemented with an interview with Tim Haines, Jasper James and Nigel Marven, and fact files. RRP for the set, which is due on March the 8th is a very reasonable £29.99 (especially considering Walking With Dinosaurs alone used to have an RRP of £24.99). The third and final disc in BBC Worldwide's Great Comedy Moments series, Even More Great Comedy Moments, will be released on March the 29th. The disc will focus on recent productions, and will include David Brent's Comic Relief dance (from The Office), Goodness Gracious Me's Going For An English sketch, and clips from Red Dwarf, The Fast Show and Only Fools and Horses, amongst others. RRP for the disc is £15.99. Admirers of the Norwegian Blue will be disappointed to hear that the BBC is releasing a four disc box set containing The Best of Monty Python's Flying Circus. The set contains three Best of... discs, ported over from the BBC's 1999 VHS releases, and a fourth disc containing the 1998 Live At Aspen show. It looks like fans of the series might have a long wait before they get a the complete, unedited release they were hoping for. RRP for the set, which is due on March the 1st, is £29.99. Michael Palin's second globetrotting adventure Pole To Pole is also being released on the 1st of March. The BAFTA-winning series will be accompanied by an exclusive interview with Palin, recorded especially for the DVD. RRP is £19.99. Other BBC releases for March include the BBC's first Delia Smith release, a four-disc set titled Ultimate Delia, which contains 134 recipes from her best-selling range of books. Release date is March 18th, RRP is £34.99 and the Tom Baker Doctor Who story Pyramids of Mars, which we featured in the News column for the 11th of December. Staying with Doctor Who, The Doctor Who Restoration Team has confirmed that the 1973 Jon Pertwee story The Green Death will be released later this year (Blackstar have it listed for May the 10th). 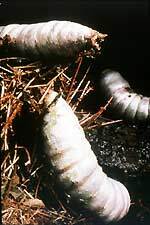 The story, which is commonly known as "the one with the giant maggots", will be released on a single disc, which will contain six twenty-five minute episodes, and almost an hour of bonus material, including a faux investigative journalism-style documentary, Global Conspiracy. The disc will also feature interviews with writer Robert Sloman, guest star Stewart Bevan and Special Effects Designer Colin Mapson. A gallery of rare photo's and a commentary track, which features actress Katy Manning (who played the Doctor's companion, Jo Grant), Script Editor Terrance Dicks and Producer Barry Letts, will also be included. MGM's March line-up is headlined by the kid's movie Good Boy, which stars Matthew Broderick. The disc, which is due on March the 29th, will be stuffed with bonus materials. RRP of £15.99. 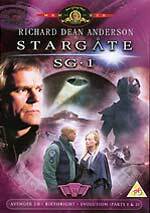 Of rather more interest are two Stargate SG-1 releases, Volume 33 on March the 8th, and Volume 34 on March the 29th. Volume 33 features Revisions, Lifeboat, Enemy Mine and Space Race; Volume 34 contains Avenger 2.0, Birthright and the two-part story Evolution. RRP for each disc is £19.99. Expect the usual array of commentaries and behind the scenes featurettes. 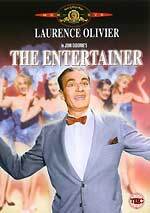 Other releases, due on March the 1st, include the High Grant Chopin biopic Impromptu, Paul Schrader's The Comfort of Strangers and the 1960 adaptation of The Entertainer, which was co-written by Quatermass creator Nigel Kneale (not that you'd know from reading the press release). 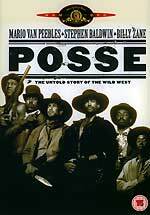 The company is also releasing a collection of Westerns: The Unforgiven (the Burt Lancaster film directed by John Huston, not to be confused with the Clint Eastwood film), Walter Hill's Wild Bill, Posse, The Kentuckian, John Ford's The Horse Soldiers and Dual at Diablo. RRP for these titles is £12.99. As is usual for MGM, no technical specifications were released. It's unusual for their catalogue titles to feature anything more than a trailer. The fourth season of Angel is being released on DVD by Twentieth Century Fox Home Entertainment on March the 1st. The six-disc set will contain all twenty-two episodes. Seven episodes will have commentary tracks: The House Always Wins (commentary by David Fury and Andy Hallett), Spin The Bottle (Joss Whedon and Alexis Denisof), Apocalypse, Nowish (Vern Gillum and Steven S. DeKnight), Orpheus (Terrence O'Hara and Jeffrey Bell), Inside Out (Steven S. DeKnight), The Magic Bullet (Jeffrey Bell), and Home (Tim Minear). Other bonus features include six featurettes: Angel and the Apocalypse, Prophecies - Season 4 Overview (39m), Unplugged - Season 4 Outtakes (3m), Last Looks - The Hyperion Hotel (5m), Fatal Beauty and The Beast (6m) and Malice In Wonderland - Wolfram and Hart (8m). Disc three will contain an array of DVD trailers / adverts. The series will be presented in 16:9 (1.78:1) ratio, with anamorphic enhancement (not 2.35:1, as stated on the press release), with Dolby Digital 2.0 audio. RRP for the set is £79.99. You can see a selection of menu screen from the new set by clicking here! Universal Pictures are releasing the 1995 Steven Spielberg-produced supernatural fantasy Casper on February 16th. The disc features a director's commentary track (by NYPD Blue's Brad Silberling), and a forty-seven minute documentary, Revealing Casper. The disc also features a deleted scene - a song and dance number, no less - Scene # 91 - Lucky Enough To Be A Ghost. The scene is introduced by Bill Pullman and the director, who explains why it was dropped (it would have cost ILM another $3m to animate the ghosts). The scene is playable (inside a window) in rough-cut form without the ghosts, or in a version where actors use models to show where the ghosts would be. There's a third option to play both side by side. The scene also has optional director's commentary. The disc also features a theatrical trailer, two interactive games (in Casper's Playroom), and DVD Rom material. The disc is presented in 1.85:1 anamorphic widescreen format, and has a choice of Dolby Digital (at 448kbps) and DTS (786kbps) 5.1 mixes. I've sampled a few scenes, and the mix is simply outstanding, with plenty of directional effects, and plenty of weight to James Horner's perky score. Unless it's hidden somewhere, the UK disc doesn't feature the bonus episode of the Casper animated series. RRP for the disc is £15.99. The League of Extraordinary Gentlemen tried hard to capture the essence of Alan Moore and Kevin O'Neill's fabulous comic book series, and wasn't terribly successful. The film did pretty well at the box office, despite a hammering from the critics. The UK branch of Twentieth Century Fox Home Entertainment will release a two-disc Special Edition DVD on February the 16th that's significantly better than the version that was released in the US at the end of last year. Click on the sleeve image, left, or here, to read our in-depth review! There are some interesting new additions to Incoming this week, but it’s the Offers page which was had some substantial changes. More on than later, first let’s have a look at the film additions to Incoming. There’s been the first listing of Tom Cruise’s The Last Samurai. It has a date of the 17th of May, with an RRP of £22.99. At that price it will probably be a two-discer. Following the recent R1 release of a special edition of Scarface, it is now showing on UK retailers. The release has a date of March the 29th and a retail price of £19.99, There is no word on the special features yet, but I suspect they will be the same as the R1 version. The eagerly anticipated The Name of the Rose, with Sean Connery as a medieval monk investigating a series of murders in an Italian abbey, and Christian Slater as his young novice, is finally being listed for the 6th of September. Special features listed for the release are an audio commentary by director Jean - Jacques Annaud; a documentary entitled The Abbey of Crime; a Photo Journey with the Director feature; and a trailer. The retail price is £19.99. Last week we reported that Eureka are releasing Fritz Lang’s The Testament of Dr Mabuse (Das Testament des Dr Mabuse). Now, also being listed is Lang’s Dr Mabuse - The Gambler (Dr. Mabuse der Spieler) from 1922. It looks like it will be a two disc release, with an RRP of £24.99 for the 4th of May. In addition to that the 1929 film, Diary of a Lost Girl (Das Tagebuch einer Verlorenen) starring Louise Brooks, is being listed for the 29th of September, with a £19.99 RRP. There are two new releases listed for the 29th of March from Anchor Bay. Sam Peckinpah’s The Osterman Weekend has an RRP of £19.99 and the following special features: a commentary from Peckinpah historians Paul Seydor, Garner Simmons, David Weddle and Nick Redman; Alpha to Omega, an all-new documentary (running to 78 minutes); Sam's First Cut, a never before seen full length screening version; talent biographies; stills gallery; and the theatrical trailer. The other release is Wes Craven’s The Hills Have Eyes - Part 2 for an RRP of £16.99, but no information on any special features yet. Also for the 29 of March is Rob Zombie’s recent House Of 1000 Corpses, which is being released by Tartan, with a retail price of £19.99. A special edition of Akira Kurosawa’s epic Ran is being listed for May the 3rd, special features showing so far is a documentary on the director. Its RRP is £19.99. The Small Black Room, Michael Powell and Emeric Pressburger’s 1949 film starring Michael Gough, is listed for the 31st of May with an RRP of £12.99. Warner Home Video have more releases showing. There are four British TV sitcom spin-offs and comedy films: Love Thy Neighbour; Ooh - You Are Awful; Till Death Do Us Part; and Watch Your Stern. All have a date of the 10th of May. Three war films: The Dirty Dozen; They Who Dare; and Where Eagles Dare for the 31st May. The Orson Welles version of Kafka’s The Trial, starring Anthony Perkins and Jeanne Moreau, is due on May the 2nd. The 1952 Detective yarn, Trent’s Last Case, which stars Welles, Michael Wilding and Margaret Lockwood is listed for the 16th of April. All these films have an RRP of £12.99. Now onto the TV releases. BBC Worldwide’s release of People Like Us – Series 2 has been pulled from the schedule. It was originally, listed for release towards the end of last year and was then revised for February the 2nd. So far it hasn’t a new date. At the BBFC there’s been an 8 minute feature from Blue Peter cleared, covering behind the scenes on the first series of The Borrowers. BBC Worldwide’s release of The Borrowers – Series 1 is listed for the 5th of April. The release of the US mini-series Shogun has had it’s revised to April the 5th. There is also confusion over it’s price. HMV is now also showing it be a 5 disc box set (as it was released in R1) and a price of £29.99. Choices Direct are listing at £34.99, with the following special features: a 13 segment documentary; a Making of…; behind the scenes footage; three historical featurettes - The Samurai, The Tea Ceremony, The Geisha; an audio commentary and theatrical trailer. It was previously listed as having a £15.99 RRP, and most of the other retailers are still listing this price. If you are interested in this release it’d be best to take advantage of some of the pre-orders still at the lower price – for example, Play is currently offering it at £11.99 and Blackstar at £12.99. But, as always, there is no guarantee a retailer will honour this price. There are a couple of other date revisions: Network’s The Sweeney – The Complete Series 2 has been put back to the 22nd of March, as there is further work to do on the extras; and The Very Best of the Muppets – Volume 3 for Columbia Tri-Star, which was due to be released last week, has been delayed till February the 23rd. And finally, two releases from Granada: Martin Clunes’ recent ITV comedy drama series William and Mary is listed for March the 15th with a £19.99 RRP; and the already listed Poirot releases of Five Little Pigs and Sad Cypress, will also get a double pack release on the same day as the individual volumes, April the 12th, with an RRP of £19.99. It seems the previously listed release of Poirot – The Hollow has been replaced by the Sad Cypress one, but both it and the Five Little Pigs release will contain a short feature each. As I said, the Offers page has undergone a major overhaul this week. Firstly, we’ve now lost all the January sales, but there are new sales to make up for it! Following a suggestion by John Pettigrew on Roobarb’s DVD Forum last week I have added a new retailer – DVDpopcorn – who have Network’s A Very Peculiar Practice for £16.99 (£8.00 off) and the Halloween Collection Box Set for £40.25 (£9.74 off). Thanks John. Don’t forget, you can discuss retailers, let us know about bargains and sale offers, or make recommendations within The High Street section of Roobarb’s DVD Forum. In addition, as Incoming is now covering the excellent releases from Australian label Umbrella Entertainment, I’ve added some recommended Australian retailers. As a note, the retailer Family Box Office require your credit card to be validated on your first order (there is more information on their website through the link I’ve set-up on the Offers page), but they do have some of the best prices. So far, these retailers are just listed as companies to import from, but in future I will cover any of their sales or bargains. Before we look at the further additions this week in more detail, I’ve noticed that Play are now listing Acorn’s releases of Raffles: Volume 2 – The Last Laugh and A Family at War: Volume 3 – One of Ours, but at a RRP of £24.99 instead the already listed £19.99. Play may have got this wrong, but if not it makes the pre-order prices of £12.99 at Benson’s World even more attractive. Right! Onto the rest of this week’s additions... Amazon have the Buffy –Season 7 box set for the pre-order price of £54.99 (£25.00 off). I’ve added some more forthcoming Acorn releases being offered by Benson’s World - Campion – The Case of the Late Pig/Death of a Ghost, The Good Life – Series 2, The Last Detective, Rumpole of the Bailey – Series 6 – all at £16.99 (£8.00 off). Benson’s World also have new sales from Columbia and Warner. These are similar to ones I’ve also added this week from Play. Although Play’s prices are slightly better, I’ve included the Benson’s World sales as they don’t exactly contain the same items, and Play don’t offer international shipping, and Benson’s World do. In addition to that, the Benson’s World Warner sale have two of The Chaplin Collection releases, Limelight and Modern Times, at £8.99 (£14.00 off), whereas Play are listing them at £16.99. Blackstar have a Blackstar Blitz page grouping together their best pre-order prices, which includes Underworld and Once Upon a Time in Mexico both at £11.99 (£8.00 off). dvd.co.uk have Network’s superb release of the 1959 BBC play starring Patrick McGoohan, Brand, at £9.99 (£10.00 off). Loaded247.co.uk has a February sale, which includes some of MGM’s special edition releases and BBC Worldwide titles such as Absolutely Fabulous, Dad’s Army, Poliakoff’s The Lost Prince and Only Fools and Horses all at £7.99. I’ve added four sales from Play. An Anchor Bay one, which amongst other things has their Danger UXB – The Series box set at £14.99 (£15.00 off), but be aware this version has been cropped to 16:9. [You can see the effect this has here]. Play are also running Columbia and Warner sales. The Columbia one includes Dawson’s Creek – Complete Series 1 and The Shield – Complete Series 1 for £17.99 each (£17.00 off) and Charlie’s Angles – Complete Series 1 for £14.99 (£25.00 off). The Warner sale includes some of The Chaplin Collection titles (apart from those mentioned above), The Wicker Man – Special Edition and the Singin’ In The Rain – Special Edition all for £8.49. The Chaplin titles save £14.50 and the other two save £16.50. Finally, clearing some of the stock before Fabulous Films reissue the releases as box sets, there is a Monkey buy 2 for £13.00 offer.